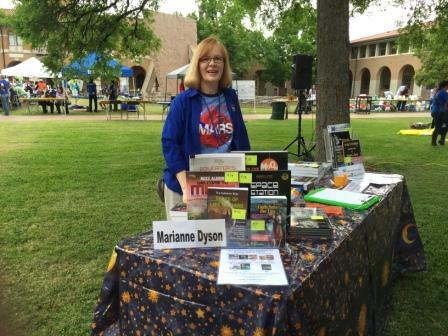 Marianne with book table at Rice University's Reach for the Stars STEM Festival, April 2016. Hosts are encouraged to offer Dyson's books for sale in conjunction with their event. Books can be obtained either from the author, directly from publishers, or through book stores. Author will provide a limited number of copies (no more than five of each title, fewer if traveling by air) for sale on the day of an author visit. If more than ten sales are anticipated, the host should collect orders ahead of the visit to avoid shipping charges to deliver sold books afterwards. Host will pay author for these preorders on day of the event by check, cash, or credit card. Please collect orders 4 weeks in advance using the All Books Order Form. If a host wishes to sell Dyson's books when she is not present, such as at a book fair or festival with multiple authors, consignment sales can be arranged. The host must collect the sales taxes and pay taxes to the state where the festival/fair is held. Note that schools and nonprofits must pay sales taxes on books sold for fundraising. Note, if author must order and supply the books, the host should expect to receive no more than 10 percent of sales. Buying books at a discount and then selling them at retail price offers author visit hosts a way to recoup some of their expenses. The profit per book is fairly low, so using books for a fundraiser works best for large events. Note, the host must pay the sales taxes to the state where the event is held. 1. Order From Publishers. The host can receive books at up to 50 percent off if they order sufficient copies directly from the publishers in advance of the visit. (Not all of the author's titles are available this way.) Use the Book Order Contacts to place orders at least a month in advance of the visit. To increase sales, hosts are encouraged to send home an All Books Order Form to collect orders from the attendees/students prior to the visit. This will reduce the number of copies that must be returned (at the host's expense) to the publishers. 2. Order From Book Stores. Schools and events may also order books at educational or bulk discounts of about 20 percent through local book stores. Note that because of a problem with Barnes and Noble's computer listing for Space Station Science, B&N will not accept returns of those books. 3. Order from Distributor. Southwest Books handles school events in the Houston area. Contact them by calling 281-498-2603. They offer a 20 percent discount to schools and conference events. 4. Order online. Sometimes Amazon offers big discounts and free shipping. To purchase books online via Amazon or PayPal/Credit Card: Order Books Online. Individuals attending an event who already have a copy are welcome to bring them to an event for signature. NASA JSC's Employee Exchange Store (Check Cafeteria gift shop) offers copies of books at a discount. 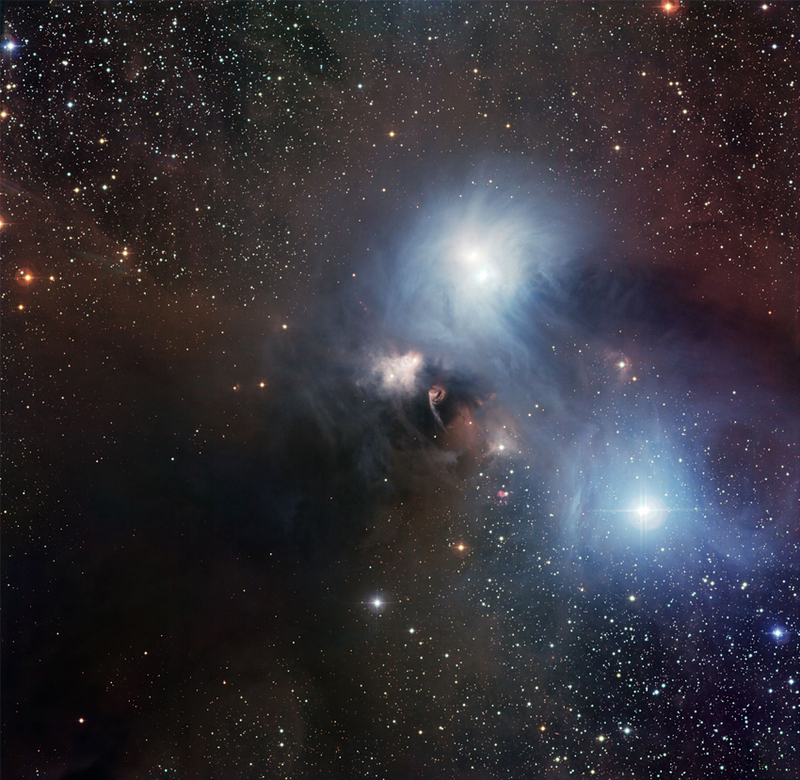 Space and Astronomy has (an expensive) library binding, so will not be found in book stores, but can be ordered by them. Individuals can also order books directly from the author via the Autographed Copies page. Print out and share these HOME ON THE MOON and SPACE STATION SCIENCE fliers to generate publicity for your author visit event. Copyright © 2015 Marianne Dyson.